To be honest, I don’t often brew coffee with my Moka Pot. 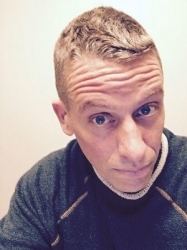 It seems like too much of a hassle. 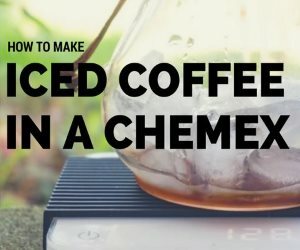 Getting the perfect amount of coffee in the filter without packing it too tightly or without making a mess on the counter with loose grounds is something that gets old real fast, especially when you are half-awake at 6 in the morning. So I rarely brew with or even think about my Bialetti Moka Pot. 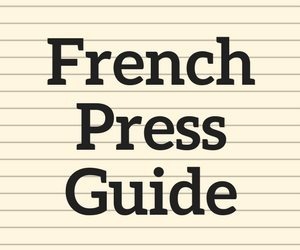 Then I received an email from an authorized distributor for the company Meliconi about a gadget they made to streamline the dosing process of the Moka Pot. I was unaware that anyone was working on ways to improve the process of making stovetop espresso, so I had them send me their Dosacaffe Espresso Dispenser to try out for myself. The Dosacaffe Espresso Dispenser is a simple device. Take off the top of the dispenser and fill it with ground coffee. Remove the bottom lid. 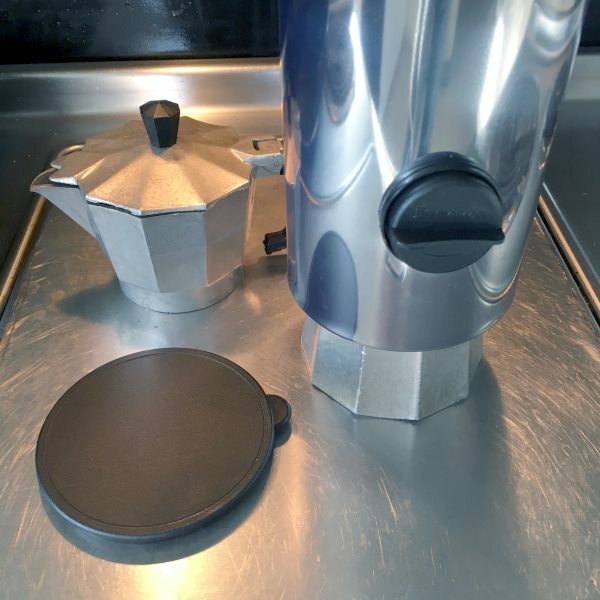 Place the bottom portion of your Moka Pot underneath the dispenser and dock into place. Turn the knob clockwise until it stops moving and then let it return. Repeat the turn. Your Moka Pot is now dosed. The lid may not want to come off initially. I had to push it forcefully before it popped off. My Bialetti and the Dosacaffe Espresso Dispenser. Docking the Bialetti under the Dosacaffe Espresso Dispenser. My Bialetti Moka Pot is now dosed and lightly packed. 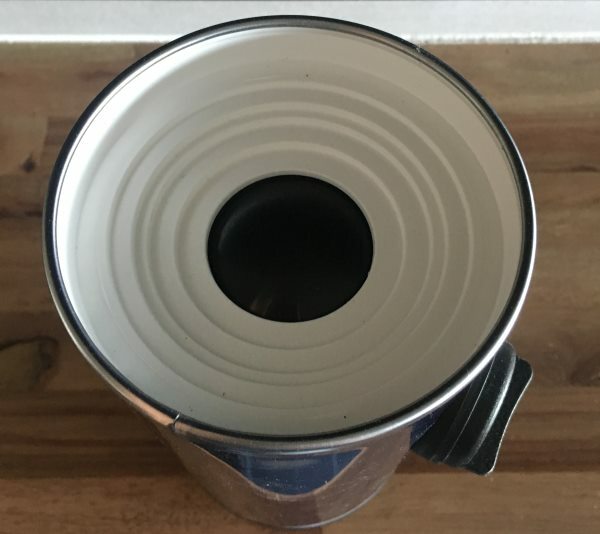 If you look at the above photo, you will see a perfect dose of ground coffee into the Moka Pot filter with a very light pack, which is exactly what you want. You’ll also notice there is not a single loose ground of coffee along the edge or anywhere on the counter. There was no learning curve like there are with many other coffee gadgets. That photo above was my first attempt. This is an upside-down view of the Dosacaffe Espresso Dispenser. The Dosacaffe Espresso Dispenser works exactly as described. 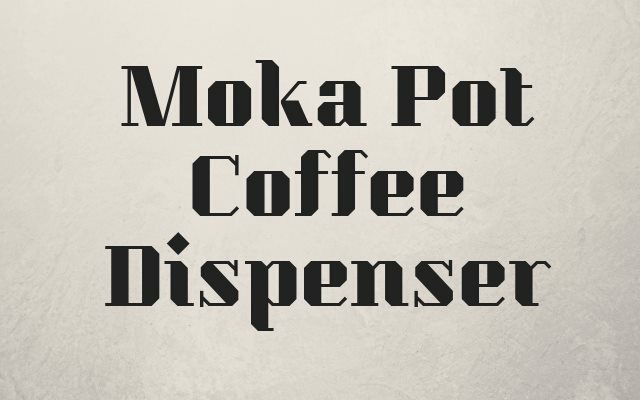 The ideal customer of this dispenser would be someone that makes Moka Pot on a regular basis. Having another coffee gadget might be a problem for some, but the dispenser also serves as a place to store ground coffee as well. 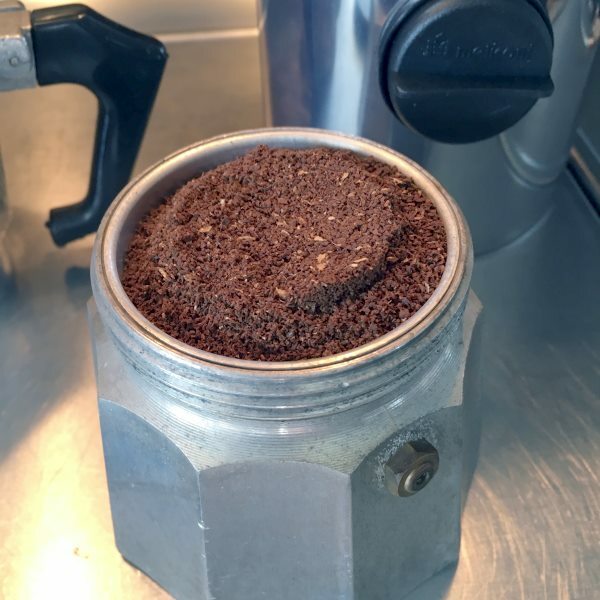 So if you purchase your coffee ground, transferring it to the Dosacaffe Espresso Dispenser will serve as both your storage container and dispenser. 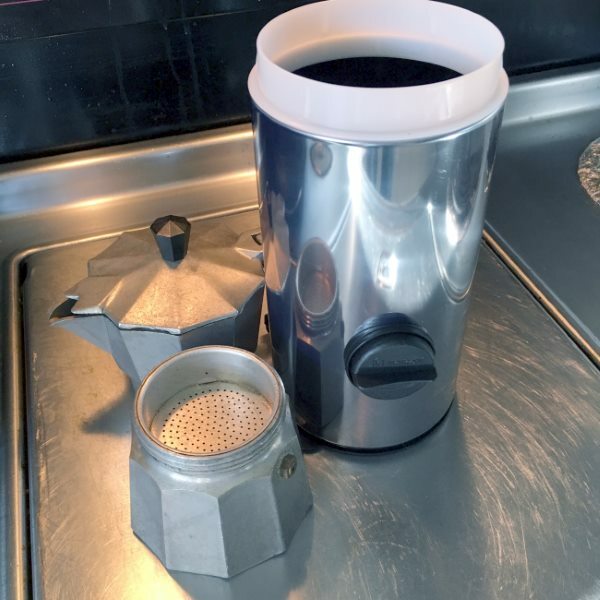 If you only make Moka Pot occasionally, there isn’t a need to purchase the dispenser. It would be less work to wipe the counter than to clean and dry the dispenser. But, for daily brewers of Moka Pot, the Dosacaffe Espresso Dispenser is worth considering. The Dosacaffe Espresso Dispenser holds 250 grams of ground coffee. 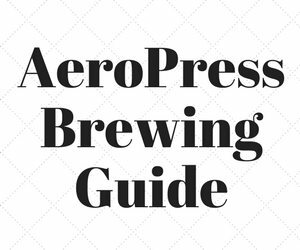 Stovetop Espresso Brewing Tutorial – INeedCoffee tutorial. 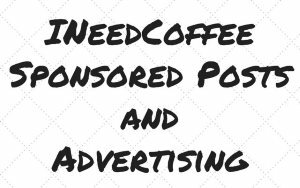 Disclosure: INeedCoffee received a Dosacaffe Espresso Dispenser for this review.